If you have nothing better to do when your cooking class gets cancelled, you might as well make a Mountain of pirogies and then eat a bunch of them. The rest hits the freezer for when I get the munchies. One of the benefits of being unemployed, one of the few ones on the forever shortened list, is that you can take a walk in the park in the middle of the day. When the sun is shining, the sky is blue and the weather is getting warmer, this must be one of the nicest things to do, especially when you have company by your favorite Latte Mum. 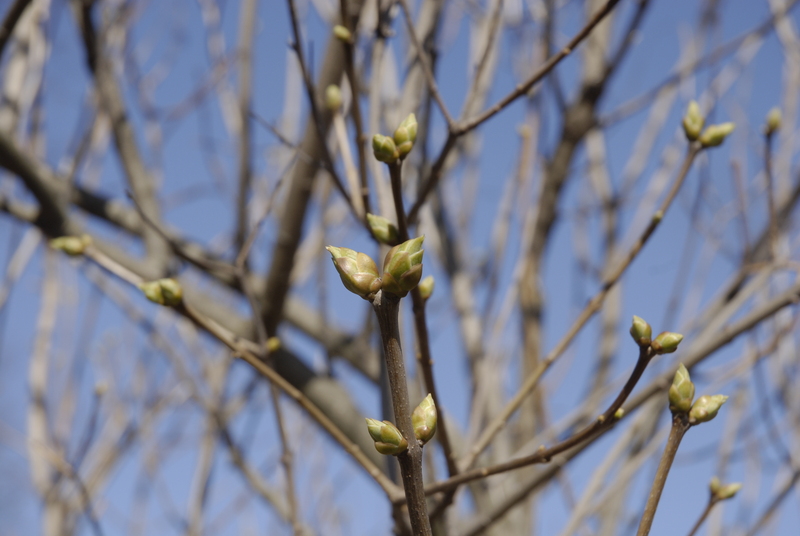 There are some brave flowers that have already started to peek out and some of the bushes are showing signs of green items on them. It has been a good day today! Those who know me on Facebook might have noticed that in the mornings I am whining about have to make my coffee myself, there is a reason for this. For the first 23 years of my life I didn’t drink coffee at all, I started when I became a student in New Zealand back in the days and I started because of a boy. My boyfriend at the time was a big coffee drinker and got me started on it, he also spoilt me horrible by making me coffee in the mornings, think most of the time to get me out of bed and of to class. My sister then later realized that this was a very good way of getting me up and about on our travels, so she kept up the tradition of making me coffee in the morning. There might have been moments when she put the coffee so far outside the tent when camping, that I had to leave the tent to reach it, thus enabling her to pack up the tent and get us on the road. 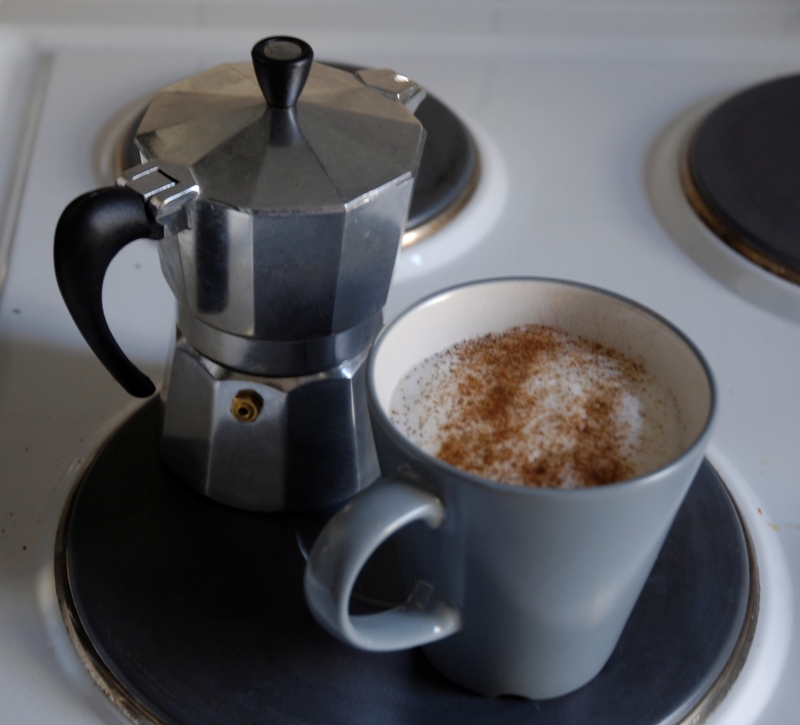 When I moved back from my student life and back into my parents house, my daddy decided that making me coffee in the morning was a good tradition to follow, and he did. As you can tell, there is a long tradition of making me coffee in the morning, thus it is sad every morning when I wake up, I wish that someone would make me coffee, and every time I realize that if I want it I have to make it myself. After a short discussion with myself I do get out of bed and make it, but it is not the same. This morning I decided to take a picture of it, so that you can see what it is that I am enjoying. 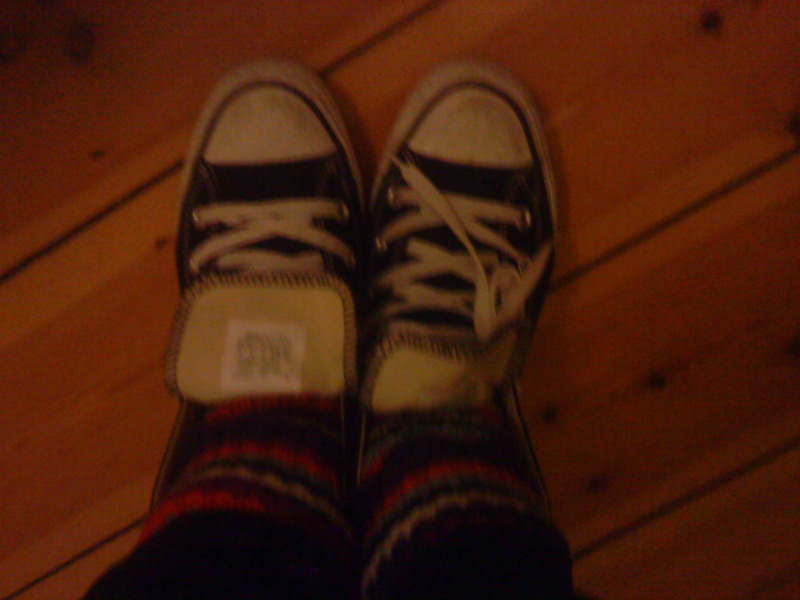 You know that the spring is on its way when you can wear your converse for the first time without freezing your toes of. Mine was on Wednesday 23rd of March this year. 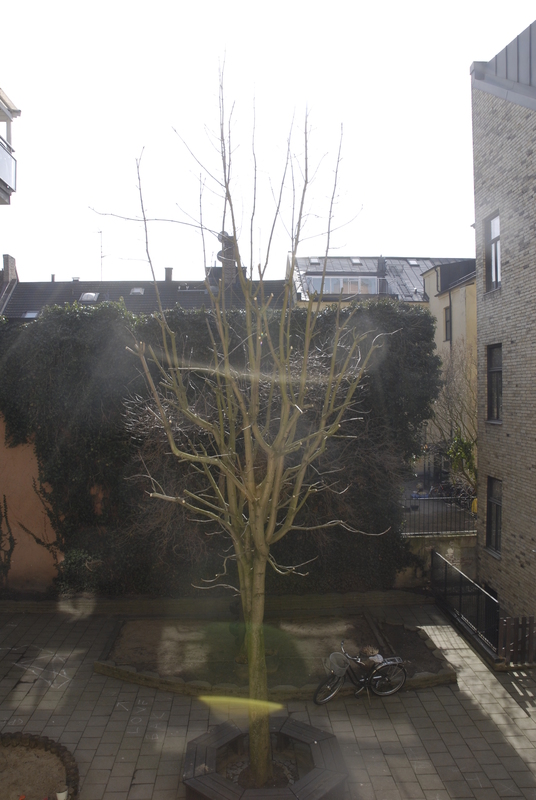 Outside my kitchen window there is a tree, right now it doesn’t look like much but in the summer it is amazing. For some time now I have thought about making a photo study of the tree, and today I decided to start. This picture is taken today at 11:45, over the next year I will keep taking pictures of my tree to see the changes in it. As I am now becoming friends with my camera I can start posting pictures of the dinner food I cook. This is required since some people are questioning the fact that I actually cook the food I say I am. 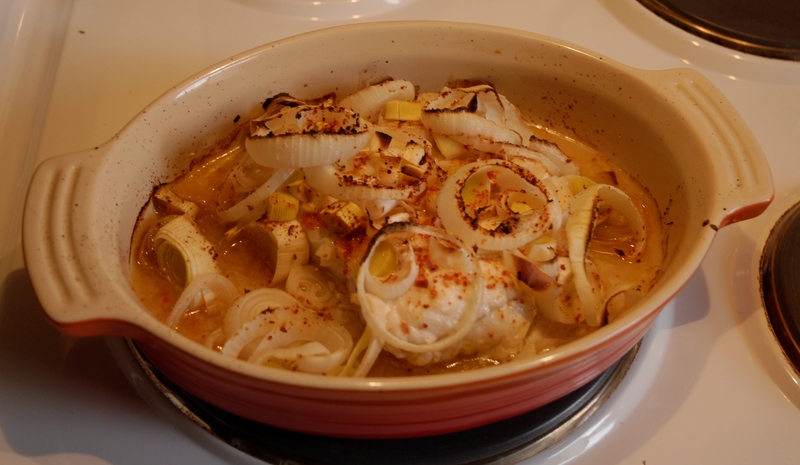 So voila, todays dinner, fresh fish bought earlier today, cooked in the oven together with leek, onion, lemon and a chili lime spice. Obviously Miss Legal was correct with her statement that pictures in the blog will give me more readers, the post I put up yesterday with food pictures are on its way to become one of the most read posts of this blog. So today, there will be more pictures as I spent a day as a tourist in my own country. 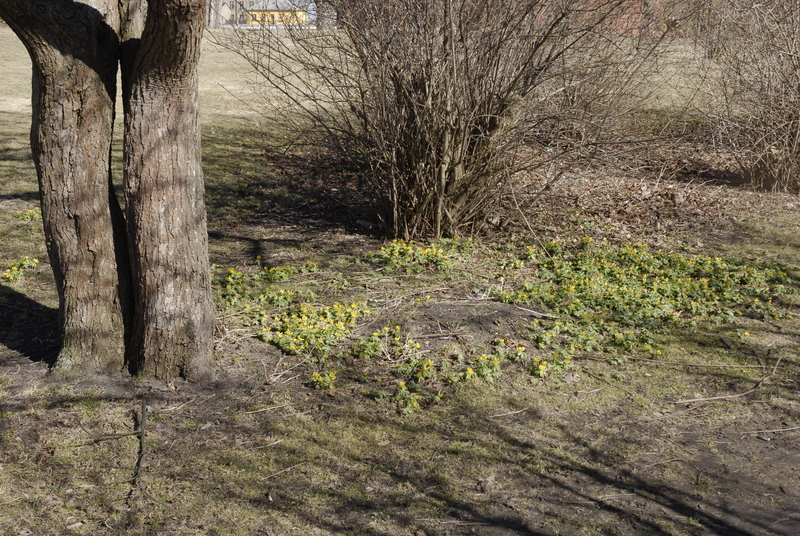 The location for todays travels was the exciting and beautiful Ystad, home to the fictional commissioner Kurt Wallander. The day was supposed to start much earlier, and include a trip over to CPH, but as I once again overslept and those plans got cancelled I felt a need to do something especially since the sky was clear blue and the sun shining. I managed to convince my favourite Latte Mum to join, well to be honest no convincing was required, and at 10:10 this morning we left the Malmö Central Station on a train, named Edvard Persson, bound for Ystad. What I am assuming was thanks to miss Latte Mum, there where no issues with the train on our way there, so she must be cancelling out the train jinx, note to one self, remember to travel more with Miss Latte Mum. 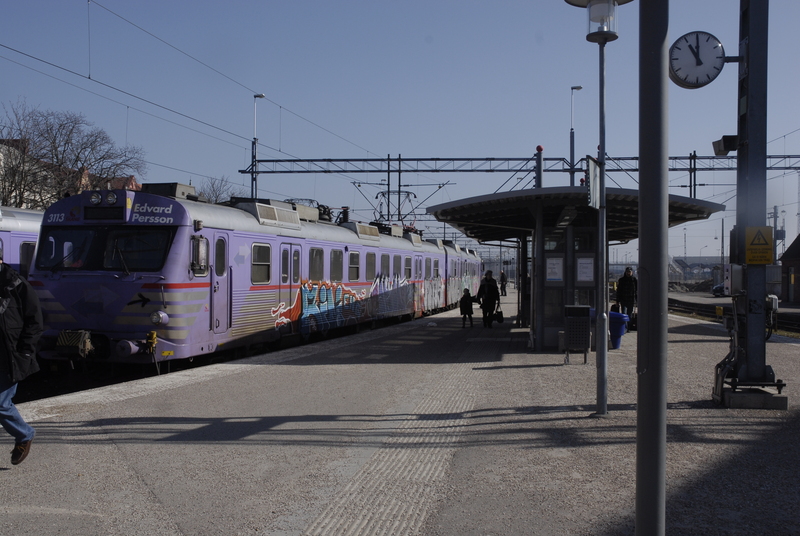 Once we got of the train we started out with a quick visit to the Tourism Office for a map, a couple of brochures and of course the most important one when you are in Ystad, all the locations that are included in the movies. 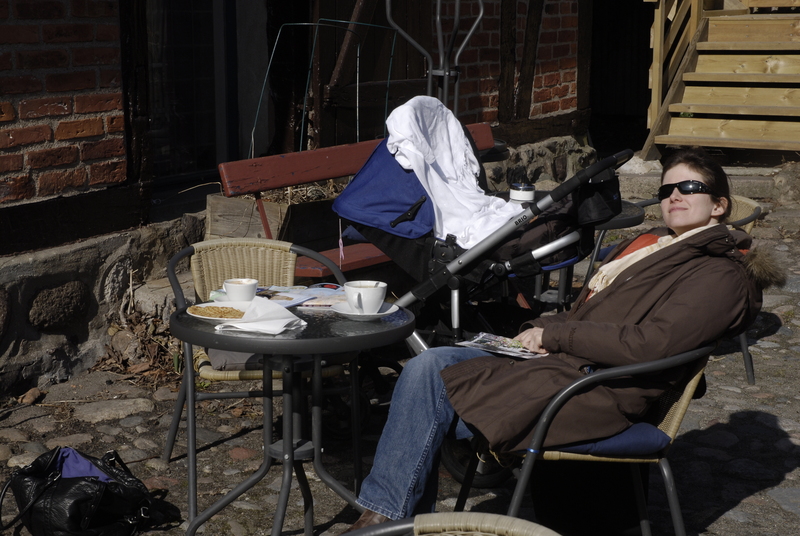 At first we wasn’t planning in making it into a Wallander tour but as we sat down for the first coffee of the day and a nice waffle, we realized that not having a Wallander tour in Ystad is impossible. 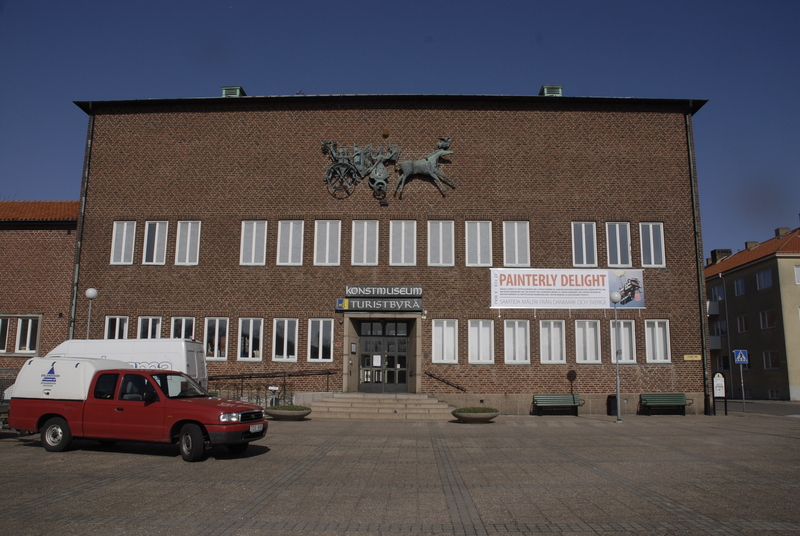 As the tourism office/art museum that we have just visited as well as the train station where we got of the train are both included in the Wallander movies. 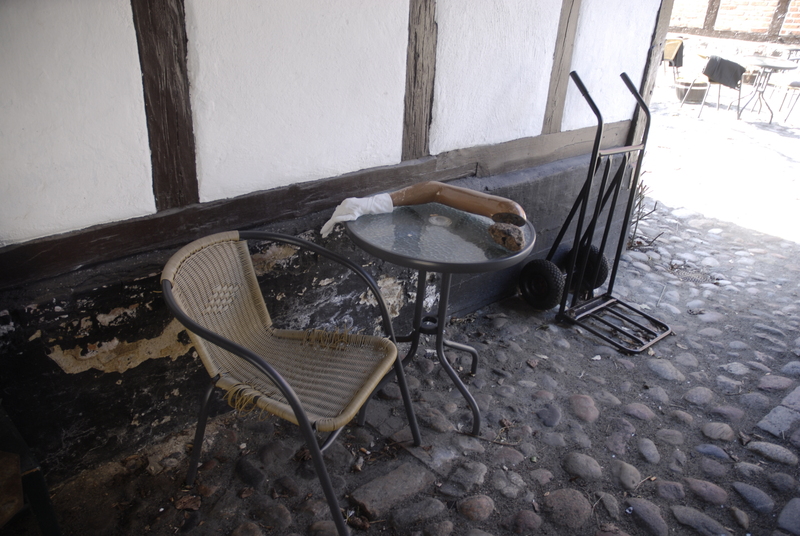 The other amazing things that you can find in a café in Ystad, are apparently loose arms lying around on tables. Am wondering if this is a leftover from a movie making or if this is just something that is normal for this town. 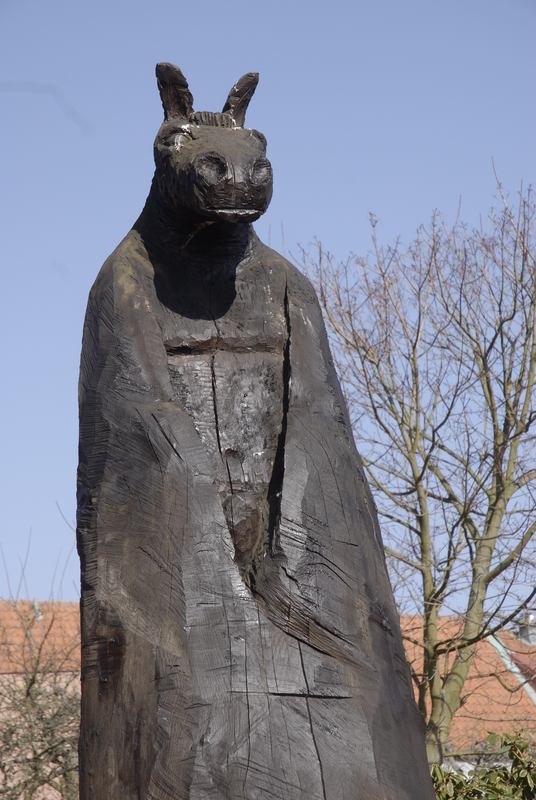 I myself do not know, if anyone know someone from Ystad, maybe they can advise on this. 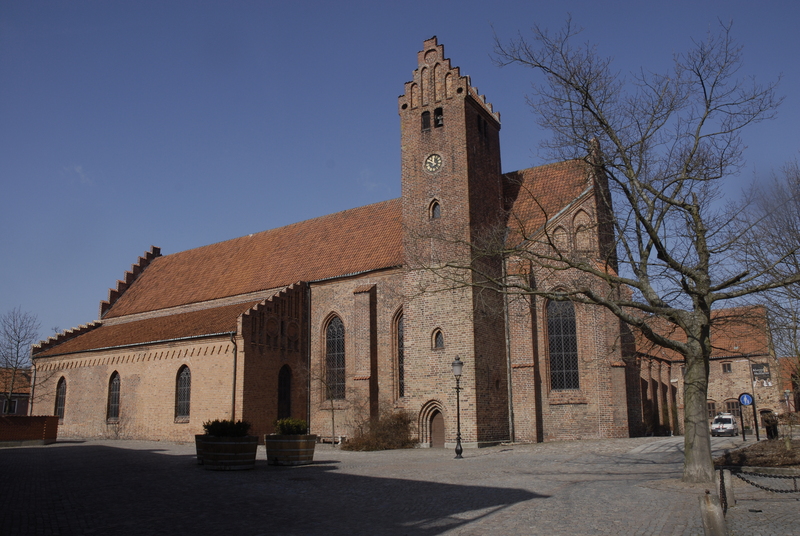 After finishing of a nice rest in the sun we started moving towards what seem to be the biggest tourist attraction in Ystad, the monastery. There where plenty of signs with directions but most of them where pointing into buildings and strange directions, but since the city isn’t that big and we did have a map previously corrected we found our way there. On the road there we did pass some interesting artwork, and in front of the monastery there was a beautiful little pond full of very smart ducks, they have been able to build little houses for themselves. 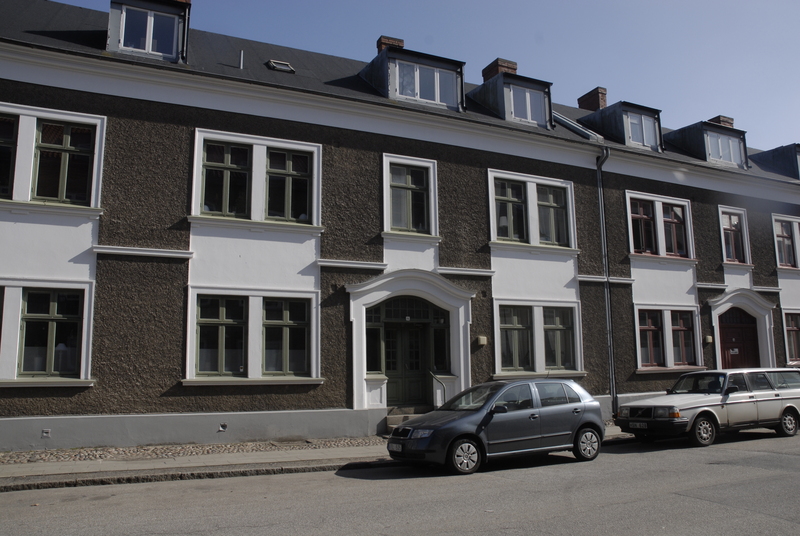 From this amazing building with gardens that are probably amazingly beautiful in the morning, we ended up back on the walking street moving towards the building that was used as Wallander’s home in the movies. It turned out that happened not to be the most exciting street in town, and also they had used two of the buildings on the street in different movies. This is where we started using the check-in function on the Iphone that had tagged along on the trip. Too bad we didn’t think of it earlier as this would’ve given the world a clear picture of the Wallander walk that we where currently attending. 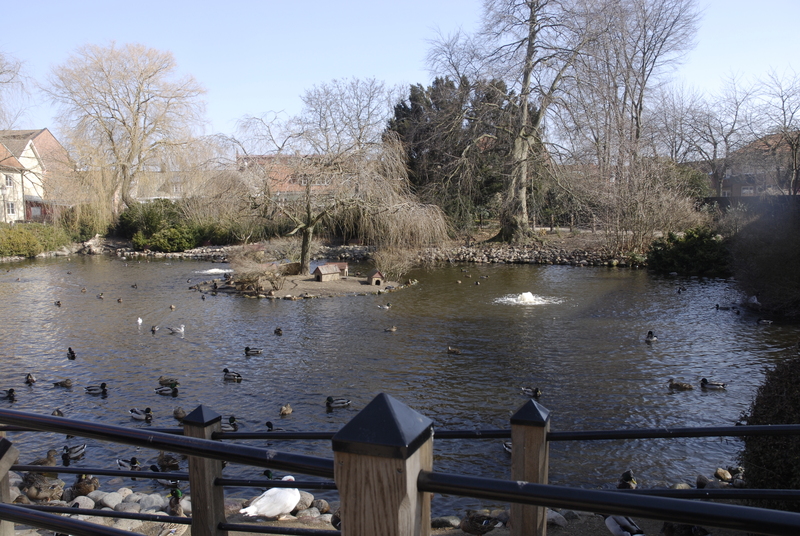 Now we are getting hungry after all the walking we done this far, and of course lunch in the town of Wallander should be partaken at one of the movie locations. 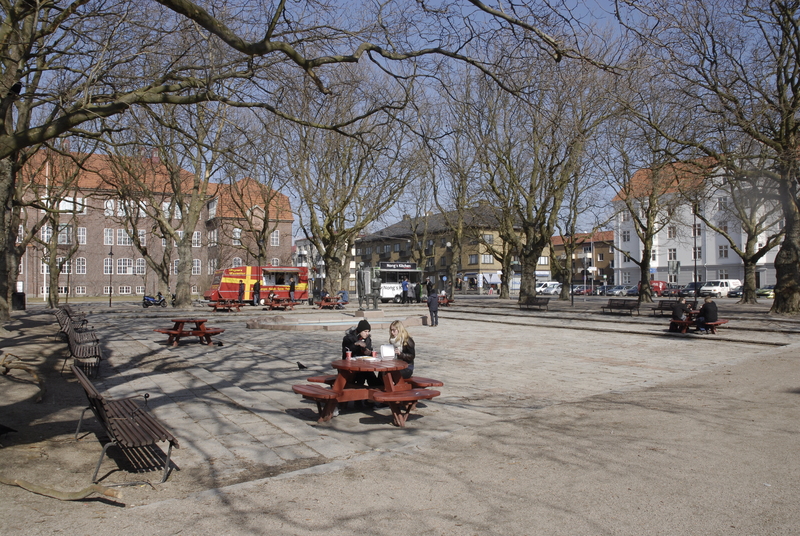 On our way to the home of our hero, we had passed a square called Österport Square where several little trailers where parked giving of lovely smells of food. So we returned there to sit down in the sun once again ordering yummy chicken kebab, rice, fried shrimps and spring rolls. For budget travellers this place is definitely recommended, you got two courses, rice and a soda for the very reasonable price of 45SEK. For me the food was enough however the Latte Mum was hungry an hour or so later. Getting a bit tired from all the walking, and to be honest, running out of things to see, we found ourselves back on the walking street moving towards the Big Square, where we earlier had spotted a couple of stands selling fresh food and veggies. To save myself a trip to the grocery store upon returning to Malmö I decided to shop for dinner food here. 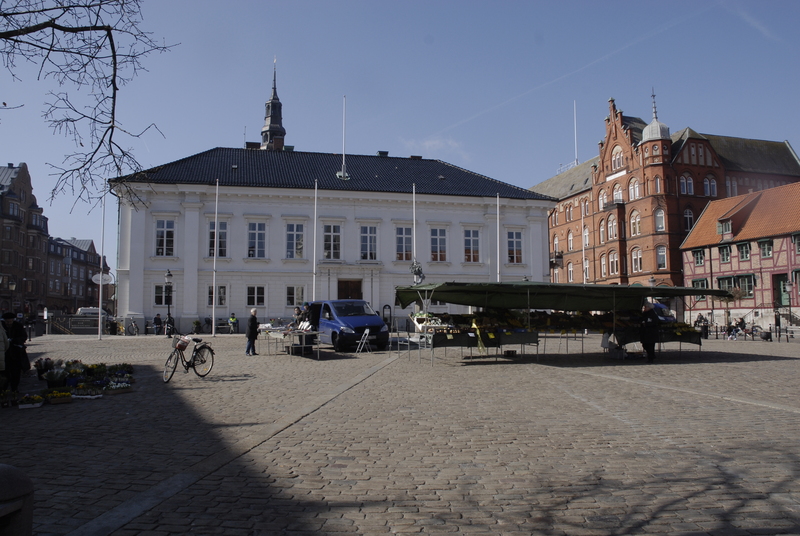 I managed to purchase a large chunk of fish and some veggies for a pretty decent price, and we could also check-in at another Wallander location as the square have been used in one of the movies. Apparently the main character had been hanging out at the ATM machine that I used to withdraw money for my purchases. At this point we have realized that we will have to watch all the movies to see the locations that we now have visited. The wind was now getting cold but as we realized we had just missed the train and there would be another hour before the next train would leave, we walked past a large church and took a photo, past the theater and took a photo and still have plenty of time left before the next train left. 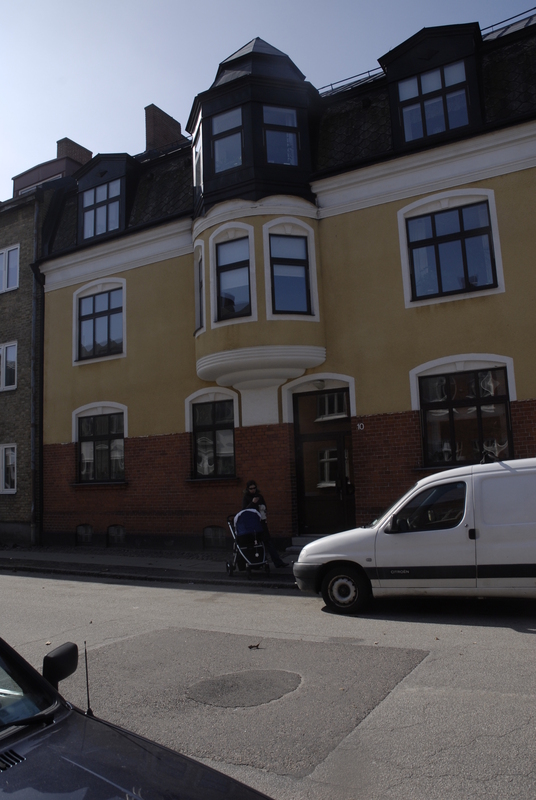 You might start to understand that Ystad is not a very big place at all. To save us we sat down at another café where I could partake a cappuccino and we could warm up. It is safe to say that we also could’ve taken a nap in there, as all the sunshine from the day was catching up to us and making us real tired, we are not used to it. 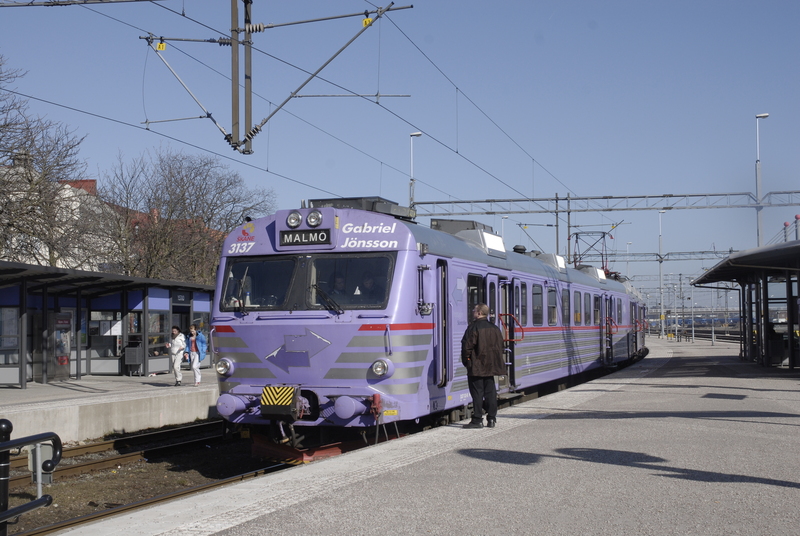 We did however manage to stay awake and return to the train station and our last check-in of the day, where we boarded the train that was to take us home, Gabriel Jönsson. That must be the longest post in this blog, and you are still reading, awesome!